Import subscriber lists from Centaman directly into WordFly. Follow the steps in this support article to import your Centaman list into WordFly. 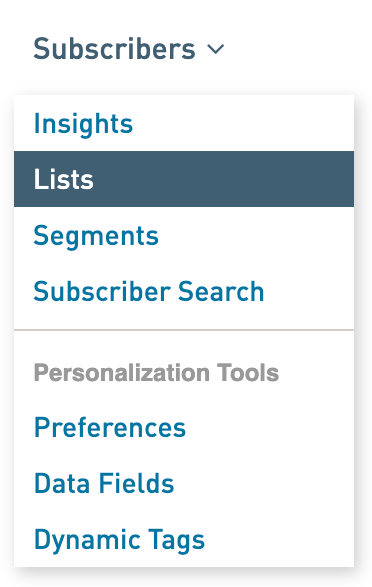 Import your Centaman list under Email > Email Campaigns or Subscribers > Lists. After you import your list, you can use it in an email campaign. Follow these instructions for importing your Centaman list outside an email campaign under Subscribers > Lists. The process is the same within an email campaign under the Subscribers tab. 4. Give your list a name and click Continue. 5. Select your Centaman query from the available query ID's. Each available list will reflect the subscribers that meet the list criteria in Centaman. If you can't find the list you want, double check the list is available in Centaman. Click Refresh if you make any changes in Centaman. 6. In section 2, (Optional) select an Appeal and Channel from the dropdowns. Then select I'm done. 7. In section 3, map your fields, as many as you can. Then select I'm done. If you've followed these steps exactly and are coming across an issue with the file import, please email us to review the issue.